Phillip Island Nature Parks (Nature Parks) is a not-for-profit organisation created by the State Government of Victoria. Nature Parks primary role is conservation of the parks natural and cultural assets, in particular Phillip Island’s colony of Little Penguins. Nature Parks is currently in the process of implementing a $58 million redevelopment of the Penguin Parade Visitor Centre, designed by TERROIR and currently under construction. 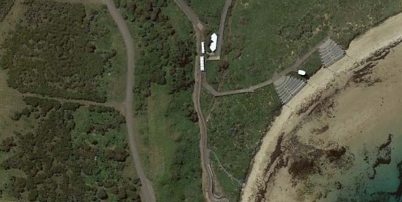 However, the boardwalks and viewing stands - first built in the 1960s to stop visitors standing on and ruining the penguins’ burrows - have deteriorated despite several upgrades. With the Visitor Centre to be completed in 2019, Nature Parks have now identified the ageing infrastructure of the Penguin Parade Boardwalks and Viewing Stands will negatively impact on the overall visitor experience. In October 2018, TERROIR with Urban Initiatives were selected as the team to design a new system of boardwalks and stands that complements the new building and increases the quality of the visitor experience for future generations.